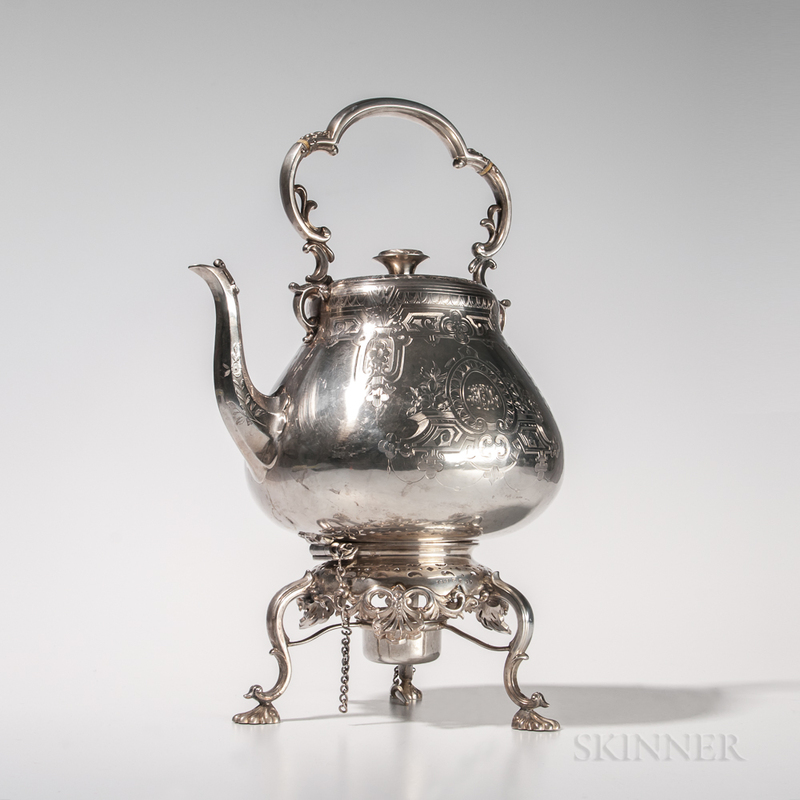 Victorian Sterling Silver Kettle-on-stand, Sheffield, 1855-56, Thomas Bradbury & Son, maker, with engraved strapwork motifs centering a monogram, original burner, ht. 64.8 troy oz. Several shallow dents to body and minor nicks to handle.